With our low price guarantee* on all our newly modified wheelchair accessible vehicles, AMS Vans is one of the most trusted handicap van dealers. 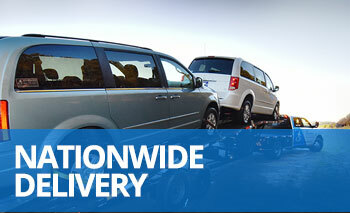 All AMS Vans mobility vans can be delivered right to your home or office in Kansas City, Missouri or nationwide (delivery fees may apply) and come with free white glove service where our mobility professional will teach you how to use the ramp and any mobility equipment on your new minivan. If you aren&apos;t completely happy with your modified wheelchair van from our inventory, you can send it back upon delivery; no questions asked. New AMS Vans brand handicap conversions on new and used handicap accessible vans come with a great conversion warranty, 24-hour emergency conversion help line, and national service. New and used minivans in Kansas City, Missouri can be converted into AMS Vans brand wheelchair vehicles. New or used Chrysler, Volkswagen, Honda, or Dodge minivans can be modified into an AMS Vans Legend, AMS Vans Edge, or AMS Vans Edge II wheelchair van. Jump seats, hand controls, transfer seats, and other mobility equipment are available for installation in your new handicap accessible van. Buy a new minivan modified with a new wheelchair ramp from our online inventory available to Kansas City, Missouri and across the country. 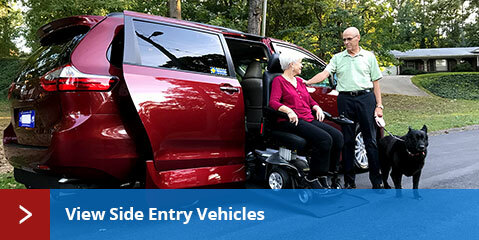 AMS Vans converts Dodge, Honda, Chrysler, and Volkswagen minivans into any of our side or rear entry wheelchair vans. To save even more money, manufacturers often offer mobility rebates on new minivans. AMS Vans offers certified pre-owned wheelchair vans with new and used conversions from AMS Vans as well as used accessible vehicles from Braun, VMI, Rollx and other handicap van manufacturers in Kansas City, Missouri and across the country. Choose to buy a used minivan to save money at the time of sale as well as less depreciation to retain the most value when it comes time to trade-in or sell in the future. Buying a used handicap van with a new conversion from AMS Vans keeps the remainder of the manufacturer&apos;s warranty on the van intact in addition to an incredible conversion warranty. You can rest easy when you sell your un-modified or professionally converted minivan to AMS Vans at one of the highest sale prices in the industry through our quick sale program. Not only will AMS Vans buy your used minivan or handicap accessible van for one of the highest payouts in the industry, we&apos;ll pick it up from you in Kansas City, MO or anywhere across the country. 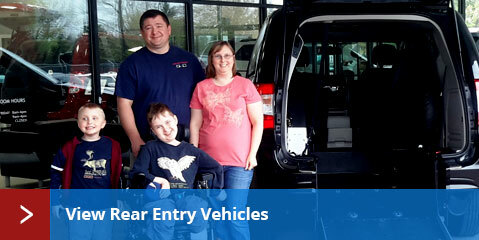 Even if your handicap van is manufactured by Braun, Rollx, or VMI, AMS Vans will still purchase it direct. 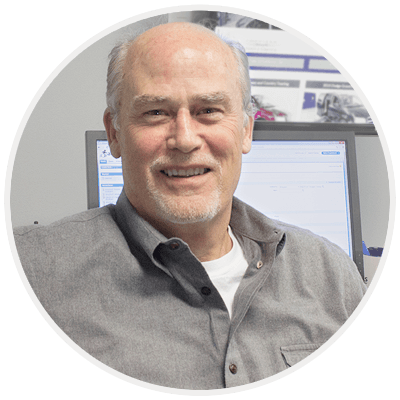 Our customers tell us our sales quotes are considerably higher than other wheelchair van dealers or manufacturers in Kansas City, Missouri. Get a great price for your used AMS Vans handicap van in Kansas City, MO when you trade it for a newer model, or get cash back for the AMS Vans brand conversion minivan you no longer need with our Buy Back Program. We are always seeking gently used un-modified minivans from Honda, Chrysler, Dodge, or Volkswagen to purchase in a quick direct sale with high payouts. In order to provide accessible transportation for an even lower price without the heavy depreciation that occurs on a new vehicle, AMS Vans converts pre-owned minivans into used AMS Vans handicap vans with new ramp conversions. Take advantage of the "for sale by owner" listings available within the AMS Vans Mobility Classifieds for private sellers and potential buyers to network. All AMS Vans Van owners receive a complimentary free listing for one month when the time comes to sell your used AMS Vans brand wheelchair minivan. Don&apos;t let an opportunity for the sale of your used wheelchair accessible vehicle pass you by; have our trained staff handle the sales process from the ad itself and how it&apos;s worded to answering inquiries in a timely manner through our mobility consignment option. Experience a new type of handicap minivan company with AMS Vans where we sell direct online nationwide, allowing us to keep our high-quality, user-friendly wheelchair minivans at the absolute lowest prices possible. Look at what our customers just like you in Kansas City, Missouri and nationally had to say about their experience with AMS Vans in our wheelchair van customer testimonials. AMS Vans even has a referral program for previous and current customers where if someone buys a handicap minivan from us and they mention your name during the sale, we&apos;ll give you $250! When buying a handicap van through AMS Vans, every dollar is spent on making the best quality product with high safety standards and longevity.